Our Holiday Shoppe is here December 3rd-7th! 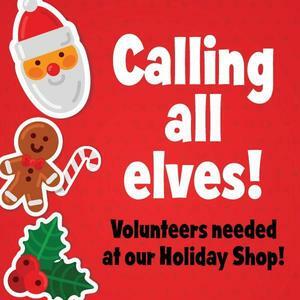 PTO needs volunteers for our Holiday Shoppe. Click above for more information. The PTO will be hosting our annual Holiday Shoppe where students have the opportunity to come and shop the store for holiday gifts for themselves, friends, and loved ones. Each class will have the opportunity to visit the store and spend time looking for gifts and we need YOUR HELP to make this event successful. Please head HERE to sign-up for a time slot you can help out. If you can work longer than a 1-hour slot, we would be happy to have you sign-up for more than one shift :). Thank you in advance for your help and we truly appreciate all you do as parents!